The Korean war, that raged for three years from Jun. 25, 1950 to Jul. 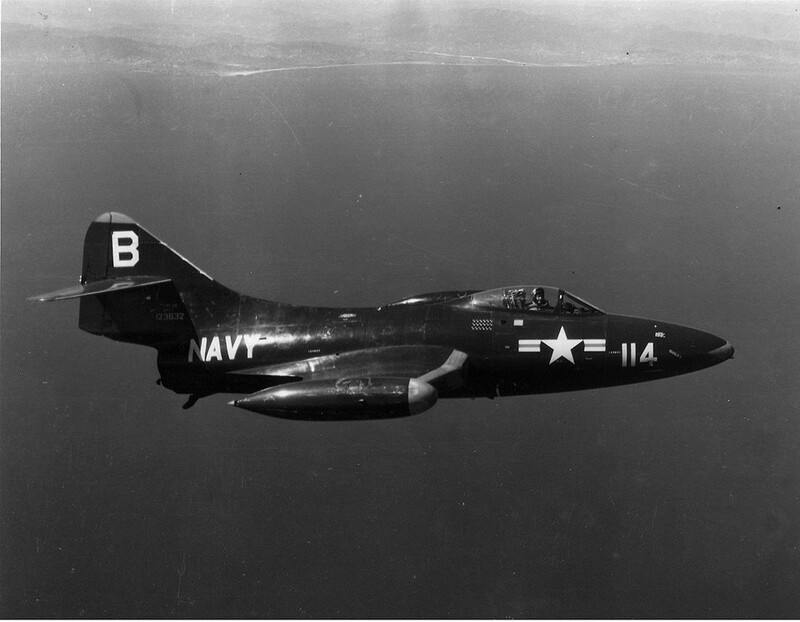 27, 1953, saw the first widespread use of jet engine-powered fighter aircraft for both sides of a conflict. These machines brought the air combat to a new, more faster and more lethal level. In fact the jet engines offered a significant increase in performance over the last piston engines, such as higher top speed, twice the cruise speed, greater ceiling and sustained climb rate. 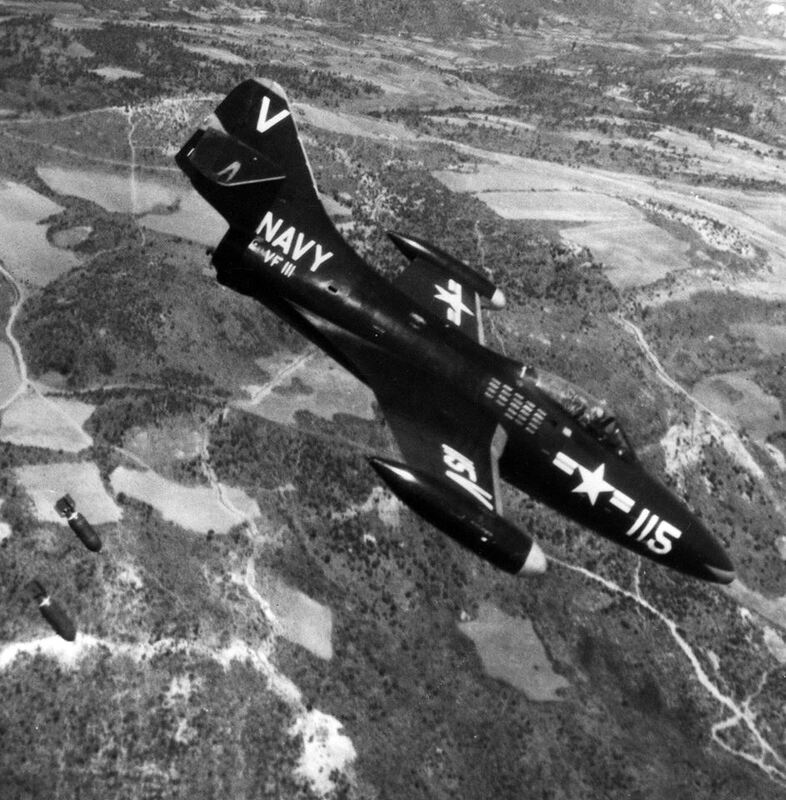 During the Korean War the fighter jets were deployed not only by the U.S. and their allies, but also by the North Korea and China and eventually some of these jets were flown by Russian pilots. The first air-to-air combat between fighter jets took place on Nov. 8, 1950 when, during an attack on the Sinuiju bridges near the mouth of the Yalu River, a U.S. Air Force F-80C belonging to the 16th Fighter Squadron encountered a MiG-15. The subsequent dogfight saw the Shooting Star pilot, 1st Lt. Russel Brown, claiming the first victory ever in a jet-Vs-jet engagement. although decades later was discovered that his Russian opponent returned to base safely, as reported by Barrett Tilman and Henk van der Lugt in their book VF-11/111 Sundowners. However the first jet-Vs-jet victory in history wasn’t too far, since it was scored by Lt. Cdr. William T. Amen, the commanding officer of VF-111 Sundowners, the following day. In fact on Nov. 9, 1950, another attack against the Sinuiju bridges took place, this time conducted by the U.S. Navy aircraft launched from the USS Philippine Sea (CV-47) aircraft carrier. 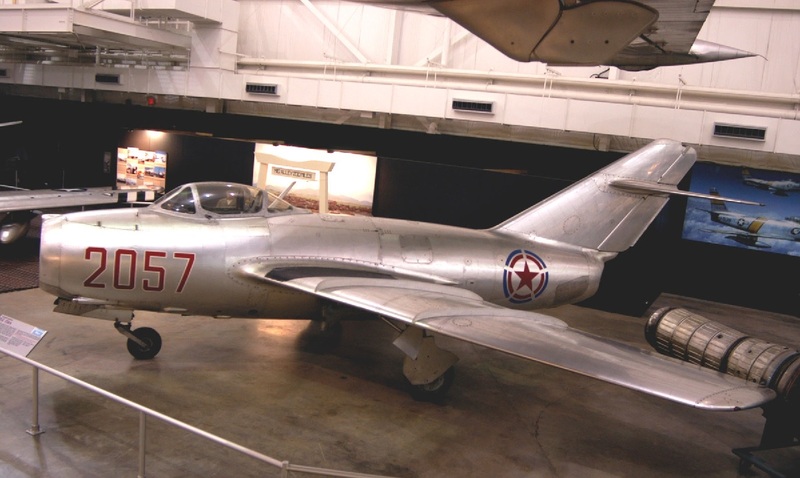 The MiG-15s from 139th GvIAP (Guards Fighter Air Regiment), responsible for protecting the Sinuiju bridges, were scrambled to intercept the U.S. attack aircraft, with Capt. Mikhail Grachev leading the 1st Squadron into combat. As the MiGs reached the American aircraft, attacking before Corsair and Skyraider fighter bombers, the combat became a dogfight in and out the clouds. In the midst of the furball Amen who was Leading the Flying Target CAP (Combat Air Patrol) in a VF-112 Grumman F9F-2B Panther (it was not unusual in fact that for maintenance requirements the two Panther squadrons on the same ship flew one another’s aircraft interchangeably, and the VF-112 was the VF-111 sister squadron onboard the Philippine Sea) checked his tail and noticed an unidentified aircraft closing. He immediately turned his VF-111 section towards the bogey. The MiG, which was driven by Grachev, after having performed a climb from 4,000 to 15,000ft, yawed trying to find the F9Fs. In doing this Grachev allowed Amen and its wingman George Holloman not only to reduce the distance from him, but also to open fire against his MiG, which was hit by both US pilots. Grachev started a vertical dive that Amen could not easily follow. Nevertheless, despite his Panther entered buffet since it approached the terminal velocity forcing him to fight rudder reversal, Amen was able to fire as the MiG crossed his sight, scoring more 20mm rounds into the target. At about 3,000 ft both Grachev and Amen started to pull-through, with the latter being able to recover his Panther at only 200 ft. During this heavy G maneuver Amen lost sight of the MiG, but Holloman saw it hitting a hillside, erupting in a huge fireball, with no chance for Mikhail Grachev to survive. After the combat, Russians believed they have downed at least five or six American aircraft, but because of the disorganized flying of the 139th GvIAP, none of the US aircraft was lost during the action. Instead Amen made aviation history by scoring the first air-to-air victory in an all jets dogfight when he downed Grachev’s MiG-15. 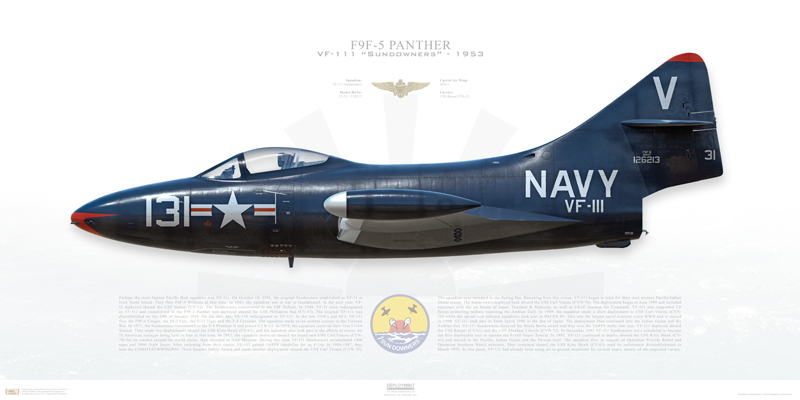 Noteworthy in 2007 the Sundowners were re-designated VFC-111 (with VFC standing for Fighter Composite Squadron) and since then they flew the Northrop F-5N Tiger II, providing Dissimilar Air Combat Training (DACT) for all U.S. Navy and Marine Corps fleet replacement squadrons. Ironically, after having downed the first MiG in the first jet vs jet combat, the Sundowners fly reproducing the flight characteristics of the enemies they contributed to defeat.